David L. Harris. Photo by Elsa Hahne. Harris, 29, a Baton Rouge native who recently released a fine new album, Blues I Felt, will be heading a quartet that includes pianist Shea Pierre and bassist Jasen Weaver—both of whom are on the disc—plus drummer and recent Crescent City resident Gerald T. Watkins Jr. All of these guys, as well as Miles Labat, who’s at the trap set on the disc, represent a stunningly impressive group of talented millennials making an impact on the New Orleans jazz scene. Each of these musicians enjoyed different journeys in reaching this point in their careers, though their paths crossed at similar junctions primarily in the Crescent City. Playing the trombone came by chance for Harris, who had several friends that were members of his high school’s marching band. So he was interested in joining them, though he didn’t even really know what instrument he wanted to play. 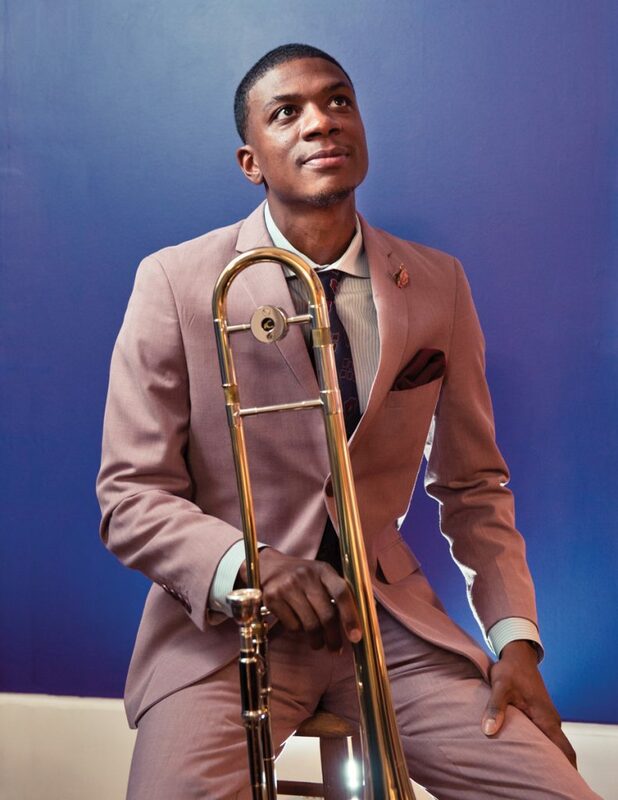 After high school graduation, Harris headed to Southern University where he played in the trombone section of the institution’s legendary marching band. “It was very stylistic—very gusto,” says Harris, adding that it taught him to have fun and not be afraid to dance. He also was a member of Southern’s concert band. Those lessons would remain with Harris when later he moved on to play with the Michael Foster Project brass band, the aforementioned traditional New Orleans musicians, and veteran modern bandleaders such as trombonist Delfeayo Marsalis, drummer Herlin Riley and trumpeter Irvin Mayfield. Harris gives credit to Southern’s late arranger and assistant of bands, director Carnell Knighten, who also oversaw the concert band, for instilling a sense of seriousness when it came to music. The word “serious” can definitely be used to describe Harris’ attitude toward the music as well as that of his fellow bandmates and the crop of musicians of a like age, who wonderfully keep popping up to add their “voices” to sets around the city. Harris left Southern after two years and headed to LSU to further pursue his development on the trombone and his interest in studying classical music that was sparked by his time with the Knighten-led concert band. With some wonder, he also viewed videos of noted classical trombonist Christian Lindberg. Interestingly, both pianist Pierre and bassist Weaver, who graduated from the New Orleans Center for the Creative Arts (NOCCA), also boast backgrounds that include classical training. As a child, Pierre received lessons in the genre and furthered his classical studies while attending Oberlin Conservatory. 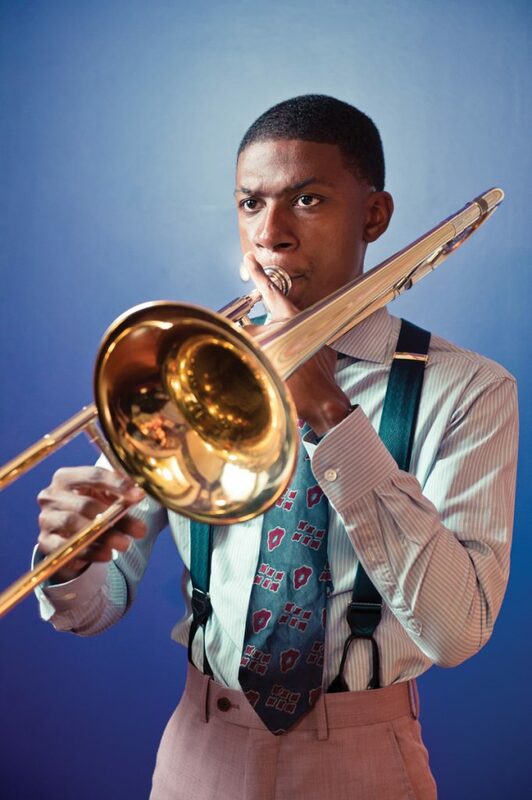 At age 11, Weaver performed with the New Orleans String Project Performing Arts School. Considering things to come, Harris’ move to LSU and his increased interest in improvisational music, thus jazz, could be deemed as his eventual link to Pierre, Weaver, drummer Miles Labat (heard on Blues I Felt) and other young cats who have been making waves on New Orleans’ modern jazz scene. Harris was already listening to notable trombonists such as Wycliffe Gordon, J.J. Johnson and Jack Teagarden, though he found that the charts he was playing at the University weren’t really reminiscent of their styles—they weren’t blues-oriented. He got to practice some of that style with fellow LSU student and Baton Rouge native, trumpeter Stephen Lands, who, eventually, also moved to the Crescent City. Fate stepped in one day when Harris was rehearsing by himself in one of LSU’s practice rooms. Next door, the Michael Foster Project brass band was also rehearsing. Harris made his first professional gig as a musician with the Michael Foster Project, including a weekly date at Baton Rouge’s Chelsea’s Cafe as well as performing at private events. Inevitably, Harris decided that he had to be more in the scene where jazz music was happening and that was in its birthplace of New Orleans. While still in Baton Rouge, the trombonist began coming down to sit in with clarinetist Dr. Michael White and trumpeter Gregg Stafford at their regular Sunday brunch sets at the InterContinental Hotel. “That’s when I first started learning traditional tunes,” Harris recalls, adding that he enjoyed and continues to enjoy the interaction between the instruments that traditional jazz allows as compared to brass bands that are more ensemble oriented. Taplin, who had recruited Harris into the Michael Foster Project, started bringing his fellow trombonist to New Orleans to sit in with trombonist Delfeayo Marsalis and the Uptown Jazz Orchestra for its weekly Wednesday night shows at Snug Harbor. The large ensemble, which barely manages to squeeze onto the club’s small stage, remains a hot bed for upcoming talent as they join seasoned veterans like Marsalis and longtime member, baritone saxophonist Roger Lewis. “A lot of us played that gig,” says bassist Jasen Weaver. “I did that most of the time I was at college [at the University of New Orleans]. I got to meet a lot of people that way and I ended up working with a lot of those musicians outside of that gig as a sideman at their gigs.” Weaver, who graduated from both NOCCA and UNO, agrees that especially in New Orleans, one thing leads to another. It was while playing with Marsalis’ big band that he met Harris and eventually introduced him to pianist Pierre. The beat, as they say and sing, goes on. Delfeayo Marsalis was certainly a catalyst in steering these and so many other guys in a true direction in their musical pursuits. 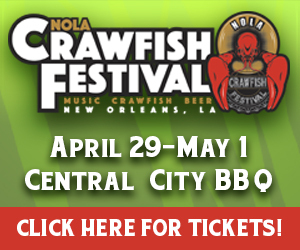 Moreover, other artists also played important roles in their development and understanding of what makes New Orleans jazz important, unique and great. Drum master Herlin Riley, who boasts a rich history in the music, has definitely been in that number in providing a link to this generation of musicians. Harris had been focused on being a sideman and remains active in that role, as evidenced at this year’s Jazz Fest, where he performed an impressive nine gigs including those with Shannon Powell, another musician whose name comes up as a strong mentor; Dr. Michael White; Don Vappie; vocalists Quiana Lynell and Stephanie Jordan; drummer Andrew Hall; the tribute to the legendary Blue Lu Barker and Jesse McBride and the Next Generation. Pianist McBride, who was mentored by Harold Battiste and continues his Next Generation legacy, also gets props from the younger musicians for his guidance and the opportunities he offers to gain experience and exposure from performing at local gigs. Props also go out to saxophonist Donald Harrison, Jr. for leading the way as an involved musician and head of the Tipitina’s Internship Program and trumpeter Irvin Mayfield and the New Orleans Jazz Orchestra. “We work hard but they make sure we’re in the position to succeed,” says Weaver of the mentors. Harris wrote the tune several years ago when he was performing in Boston in a play based on the book A Confederacy of Dunces. At the time he had a vision—a dream—of doing an album with his girlfriend, vocalist Quiana Lynell. However, she thought he should do his own CD. “The night I heard those words, I sat at a piano at the Huntington Theatre all night and pretty much wrote that song.” His despair is evident in the tune’s opening, though with the help of his more optimistic bandmates and the gentle tones of Pierre’s piano, he and the song find lift. About three years ago, Harris began singing on his gigs, and he adds his voice to several tunes on the new CD. 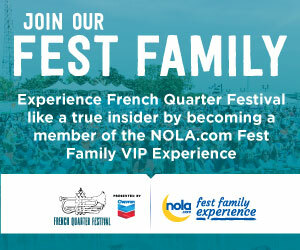 “I asked Quiana [who leads her own band at Satchmo SummerFest on Friday] for some advice. She’s a great singer; so I would get little tips from her,” says the trombonist, who has recently started to get more formal vocal coaching from a local singer, Clarence Carter. “I love music and I love the way music makes me feel. So singing is just another avenue for me to portray how I feel, portray my emotions. It also allows me to connect to the people who, for some reason, just can’t connect to a horn. Some people just don’t pay attention when they hear a horn. But don’t get me wrong, the reason I sing is more for me,” Harris confesses with a laugh.